After I upgraded vRealize Business and vRealize Automation to version 7.3.0, I discovered that vRB was not working anymore from the vRA portal. 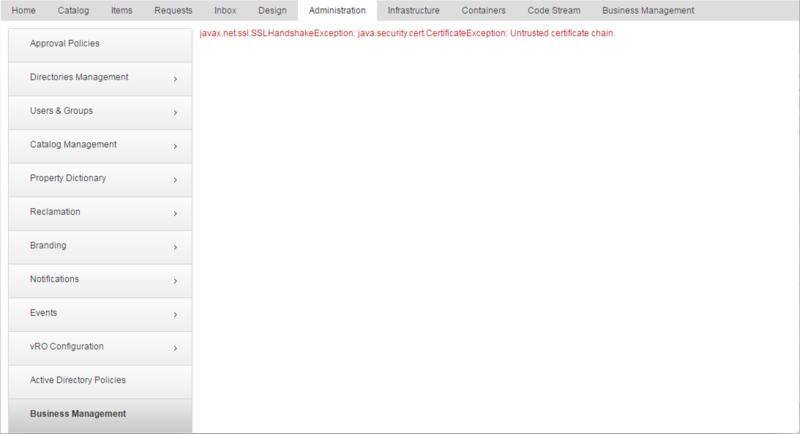 The following error message “javax.net.ssl.SSLHandshakeException: java.security.cert.CertificateException: Untrusted certificate chain” gets presented when accessing the vRB sections in vRA. This article reveals how I managed to solve this unexpected issue. We can recognize this issue by opening the vRA portal and navigate to the vRB sections. When the above error appears, we also see that the related vRB services have not been registered on the vRA appliance(s). A first remediation attempt will be a reboot of the vRB virtual appliance. If the reboot of the vRB virtual appliance did not solve the issue, you can try the following procedure. 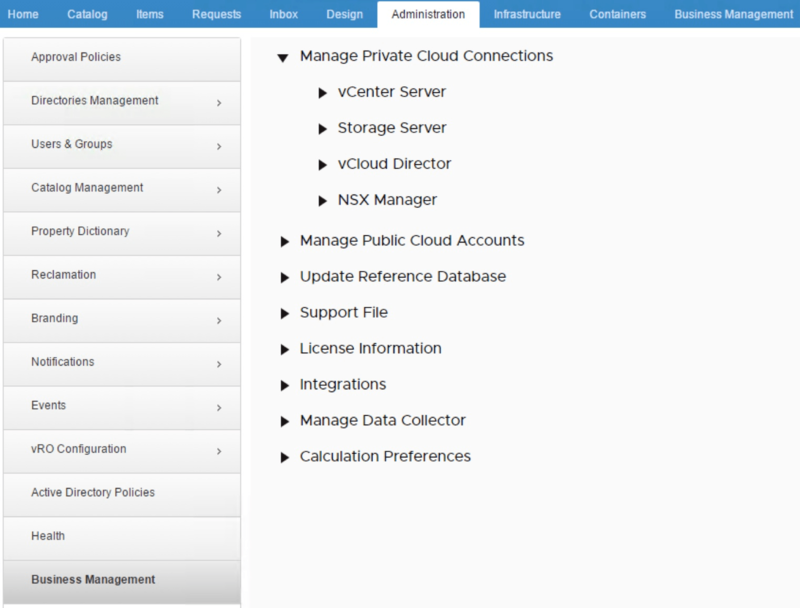 Login to the vRB virtual appliance VAMI interface and go to the Registration section. Provide the SSO Admin User and Password and click Unregister. Next, login to the console of the vRB virtual appliance and get the password for the keystore. You can find this password in the following file “/shared/catalina.properties”. Search for the line bio-ssl.keystore.password. You can also use the command cat /shared/catalina.properties | grep “bio-ssl”. Now go back to the vRB virtual appliance VAMI interface and navigate again to the Registration section. Provide the vRA portal name, SSO Default Tenant, SSO Admin User and SSO Admin Password and click Register. Finally, reboot the vRB virtual appliance and login again to the vRA portal. Navigate again to the vRB sections and validate if the issue has been resolved like it did for me. 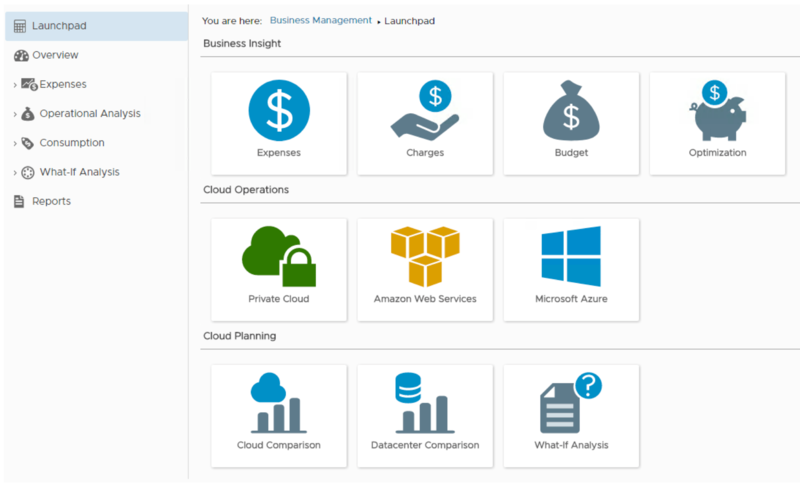 Enjoy again using vRB 7.3.0 with vRA 7.3.0.